It was nice to finally make it to a game! I missed the first two, being out of town. My boys have done it bought on the road, losing by huge margins, so with still more injuries to carry, the coach is calling on the depth in the pack to beat the Brumbies from the ACT. 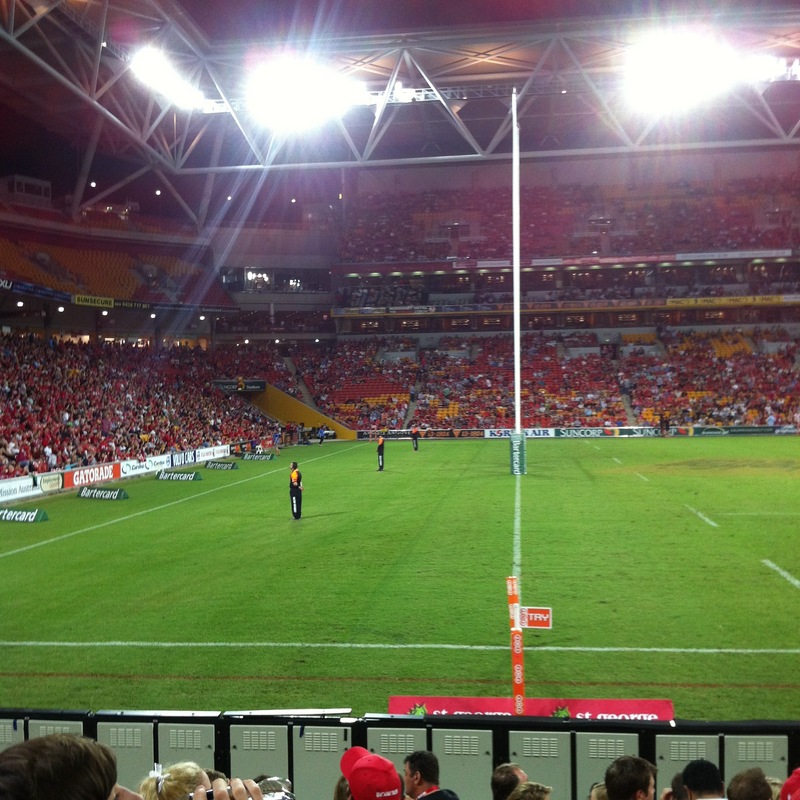 If there’s one thing I can say to compliment this night – the stadium felt like Ballymore. Awesome.